Table for four on the patio with this Palm Harbor 5 Piece Outdoor Wicker High Dining Set by Crosley with Table and Four Stools. The design has straight lines in sophisticated modern style with the popular wicker look. 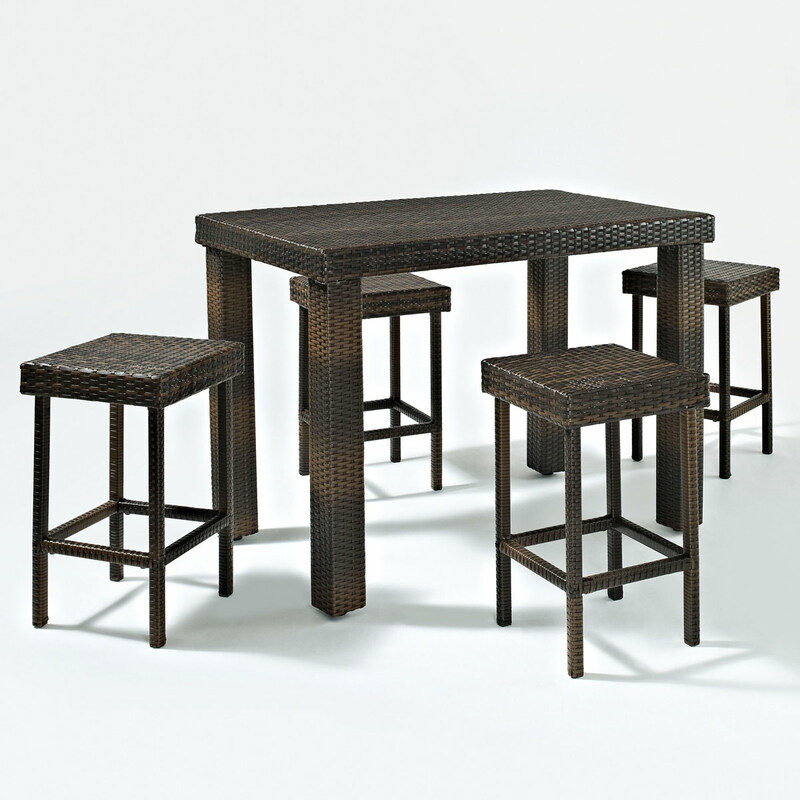 This resin woven wicker is for all seasons and never unravels like traditional wicker. It will not fade, crack or rot even in hot summer sun. Each piece has a strong steel frame. 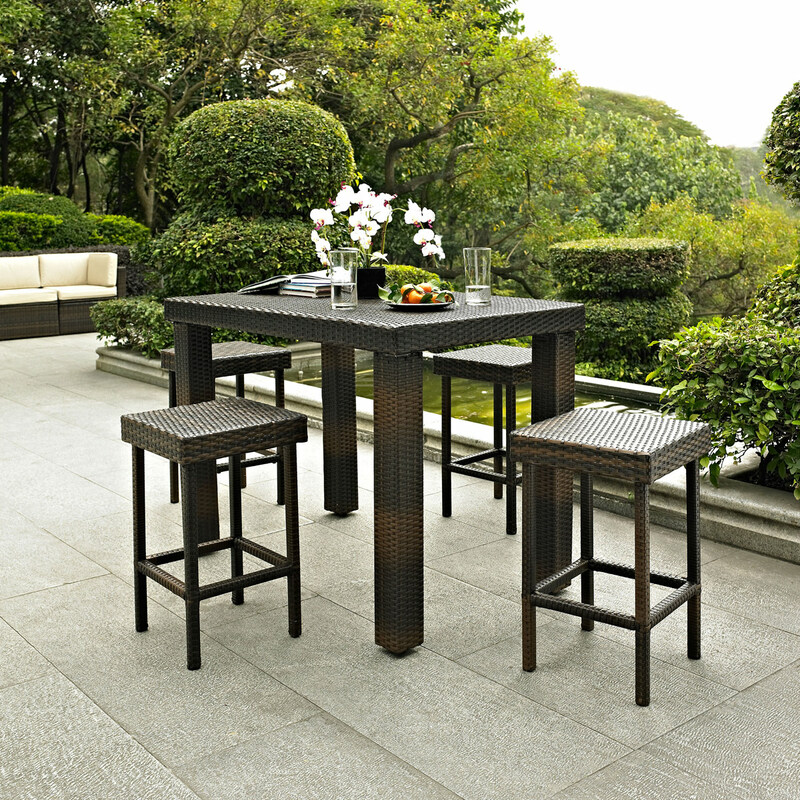 The table is perfect bar height with plenty of room for four seated on comfortable stools.